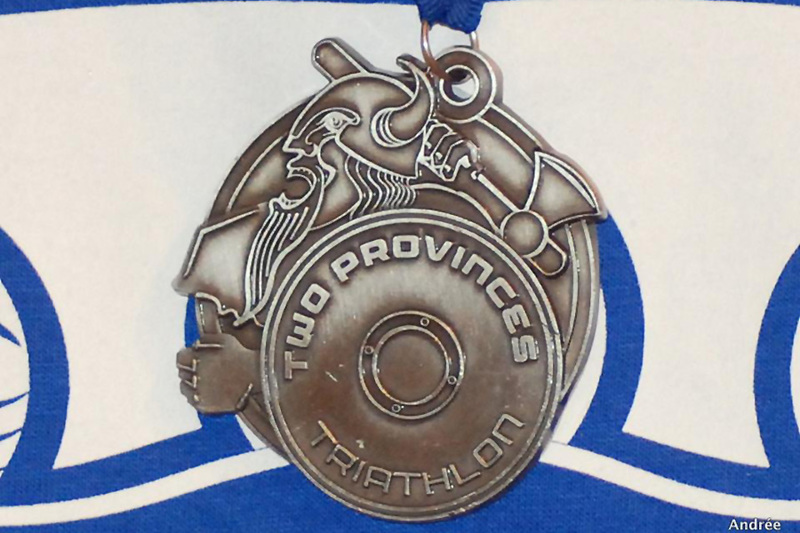 Two Provinces Triathlon are delighted to announce this year that all finishers who conquer the Two Provinces will be awarded a Viking Warrior Medal. This Viking medal design draws on the Viking history associated with Lough Ree from the 9th—11th Centuries. The Vikings first invaded Ireland in 795, but stayed in the coastal areas of Ireland to begin with, principally Dublin and Limerick. In 842, under their leader Turgesis, Vikings sailed up the Shannon and raided Clonmacnoise on their way to Lough Ree and raided the island monasteries there. 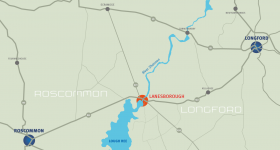 Turgesis set up a base on Lough Ree from which he conducted attacks on both the Eastern and Western sides of the lake. When Turgesis was defeated by Maelsheachlainn, King of Midhe, Lough Ree seems to have enjoyed a short reprieve from Viking invasion until a new wave came via Limerick in 921. A battle on Lough Ree in 937 was the culmination of a 20 year power struggle between the Limerick and Dublin Vikings. There are suggestions that the ruling Vikings might have made a base in Clooneigh Bay on the Connaught shore, near Inchenagh. Irish Clans and Kings continued to battle with the Vikings throughout the 10th century. According to the Annals of the Four Masters, in the year 1000 two Irish Kings—Malachy 2nd, King of Meath and Cathal O’Connor, King of Connaught—built a causeway at Lanesborough as a strategy to link their forces and defeat the Vikings. Best of luck to you all on July 16th as you battle the course over the Two Provinces. Many thanks to rustylemon design for the fantastic work designing this medal.